Register for the Southeast Girls Regional Program Trials! Registration is now open for the Southeast Girls Regional Program Trial! All U15 and U18 female athletes on the Lower Mainland residing South or Southeast of Vancouver are invited to register for the trial. Visit the Online Registration Page to secure your spot! Trial registration will be open until 12 pm on Wednesday, September 12 and costs $10 per athlete. The trial will take place at Tamanawis Park on Sunday, September 16 from 5-7 pm (U15) and 7-9 pm (U18). Selections will be announced the following Wednesday. The Southeast Regional Program is a 40 hour program which will run from October to April. Program cost is typically $600-700 per athlete. Selected players can expect 1-2 training sessions per week with highly trained coaches, and the opportunity to play in the FHBC Regional Tournament in the spring, which is the selection point for Team BC. 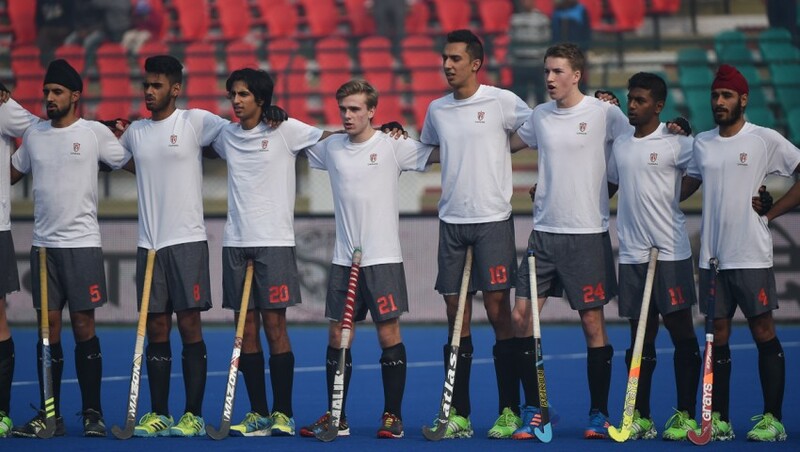 For more information on eligibility, registration and selection process, click here. Registration for trials in surrounding regions will be open in the coming weeks. Click here for a full schedule of trial dates and locations by region. The Team BC U15 Girls Rams are lucky to have two exceptionally talented midfielders in Savina Purewal and Laine Delmotte. There’s no stopping Savina Purewal once she gets her momentum going. 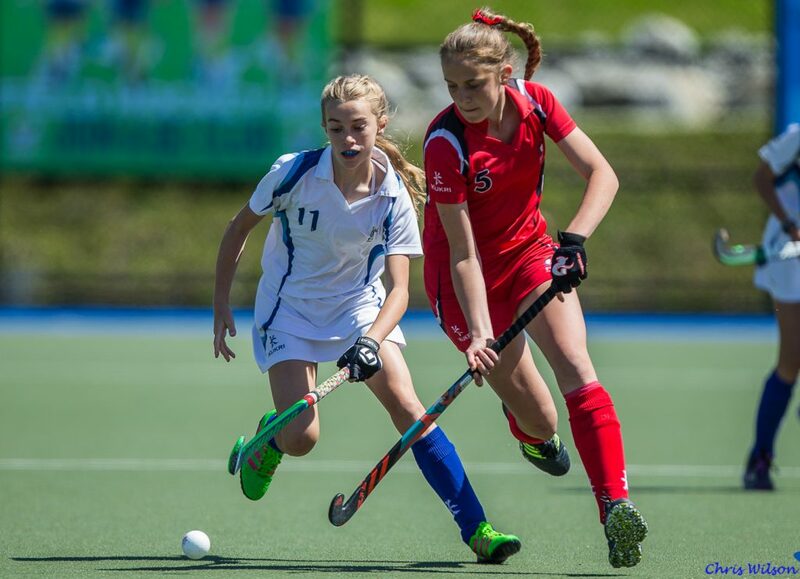 Playing from either the center or outside midfield position, the speedy Surrey native dominated with the Southeast Jaguars at the Train 2 Train Festival, earning a spot on the U15 BC Girls Rams. 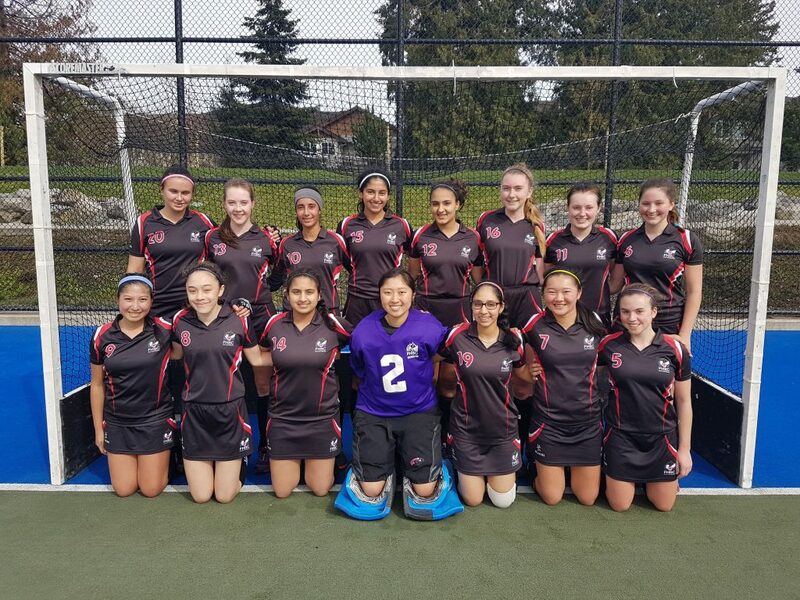 Purewal, who has played field hockey since she was five years old with the Surrey Sharks and India Club, is going to her second National Championship this year in her fifth year with the Regional Program, starting at the Learn 2 Train level back in grade 4. She is also a gifted soccer player, but has always seen field hockey as her number one. 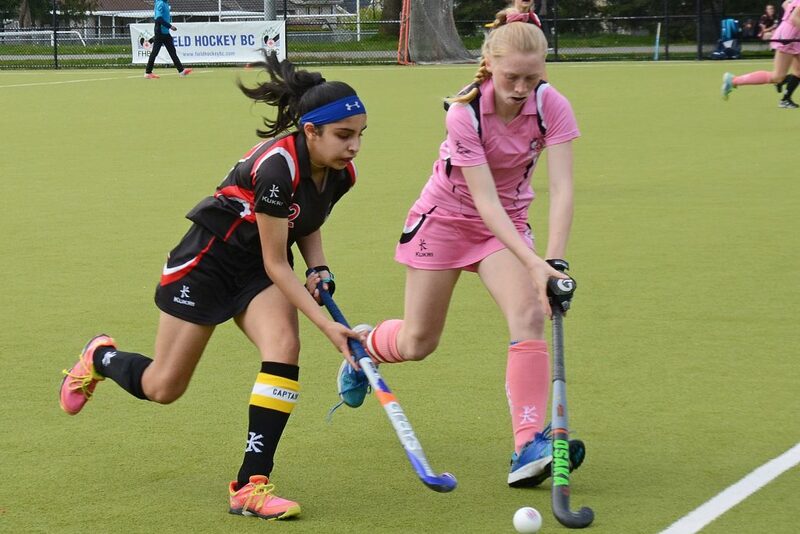 Savina Purewal – left – in action against the Pink Panthers at the 2018 Train 2 Train Festival. Between the long hours of training, Purewal still manages to get out in the community about once a week and volunteer with her leadership class at school and with the City of Surrey. Despite her busy schedule, the 14 year-old is always out there working hard with her sights set on playing in the Olympics one day. As a young athlete with big aspirations, Purewal is doing all the right things to achieve her goals in the early stages of her career. 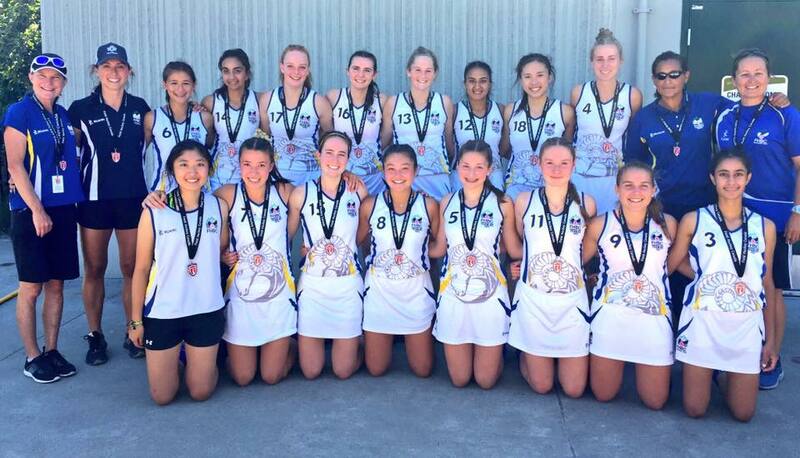 After winning the gold medal with the U15 BC Girls Rams last year, she was selected to attend the U15 National Junior Development Squad Camp, which she hopes to be invited to again this year. 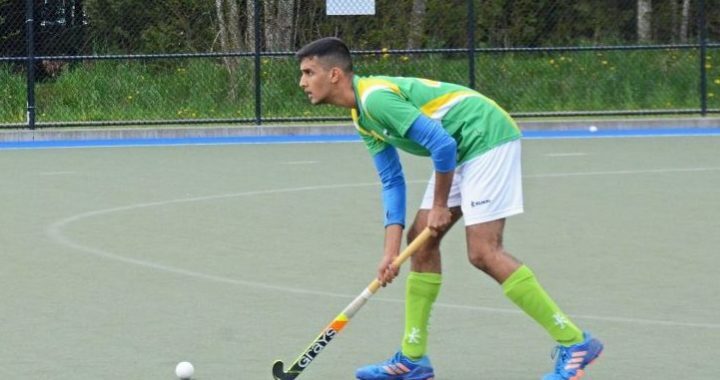 Although she’s already had exposure to the National Program at a young age, Purewal remains focused on the process, starting from the Regional Program and working through to the Provincial level. She recognized the Train 2 Train Festival as her primary focus because to her, it is the first and most essential step in moving on to the next level. Savina Purewal – front row second from the right – with the Southeast Jaguars at the 2018 Train 2 Train Festival. 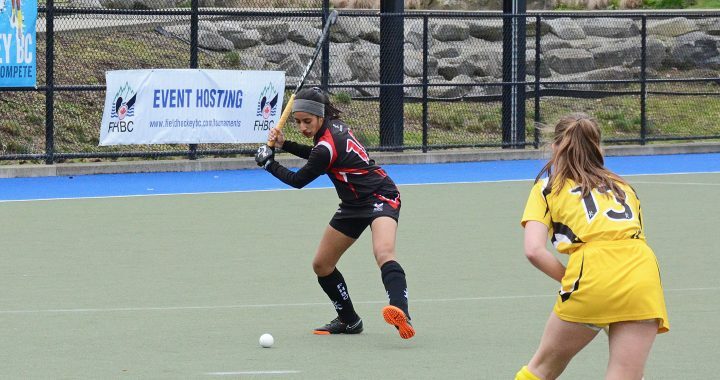 Between this Provincial season and the coming years, Purewal has a vision for what it will take to reach that next level and to continue her development as a player and a leader. The composure and ball control of the North Shore Acaemy Dragons’ Laine Delmotte was unmatched at the Train 2 Train Festival. 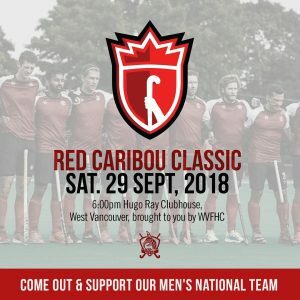 In her second year training at the North Vancouver Academy, she will be attending her second National Championships this year with the U15 Girls Rams. 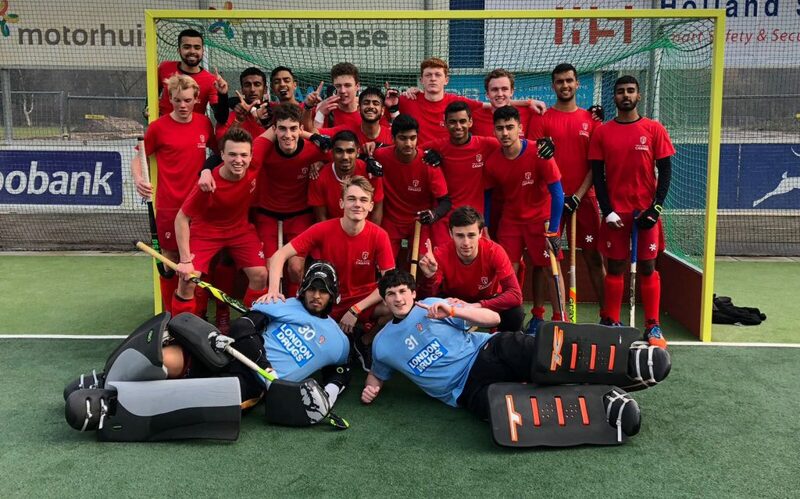 Delmotte comes from a family full of field hockey players. 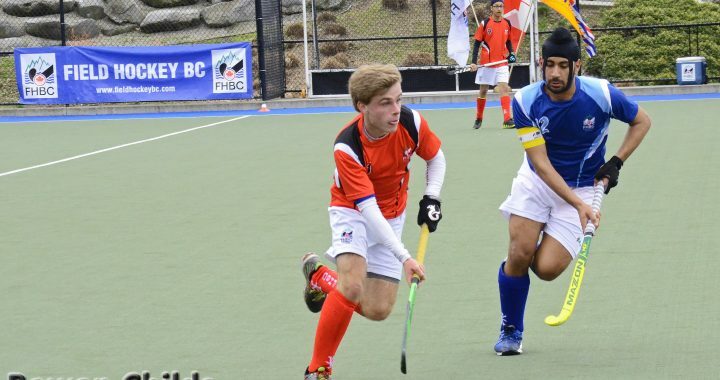 She started playing for the West Vancouver Field Hockey Club she was six years old because her older sister and older cousin were involved in the sport. After spending a year in the Regional Program when she was in grade 7, Delmotte joined the Academy the following year when she started high school. The Academy players train every other school day as a replacement for their Physical Education class. 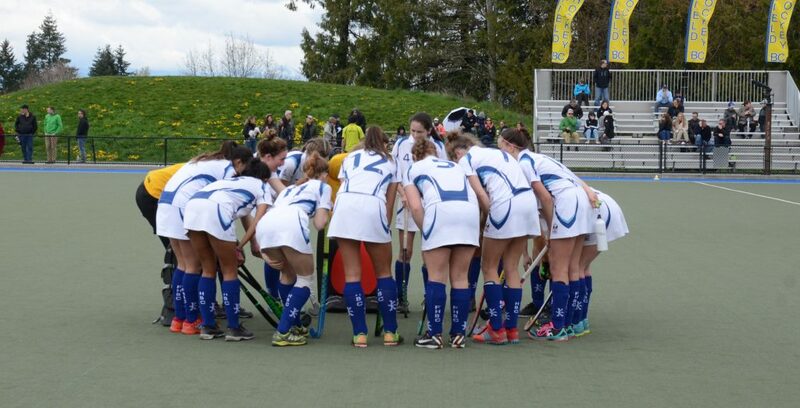 Also a high level soccer player, Delmotte keeps busy with her sports, but sees field hockey as her number one sport. 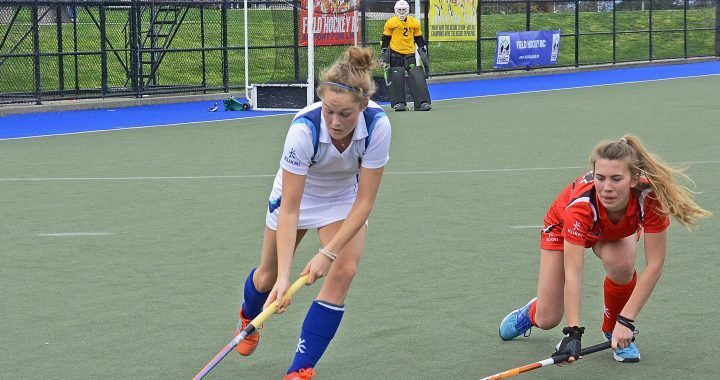 In the long term, she intends to pursue field hockey and hopes to get a scholarship to play in University. 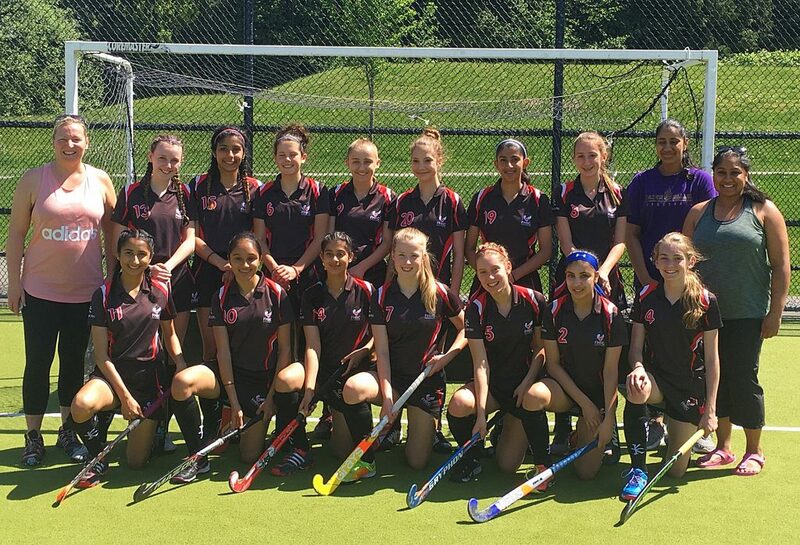 The center midfielder, who narrowly missed a medal at the 2017 Nationals with the BC Girls White Lions, is excited for the upcoming Provincial season, especially having the opportunity to travel with her team for Nationals this year. 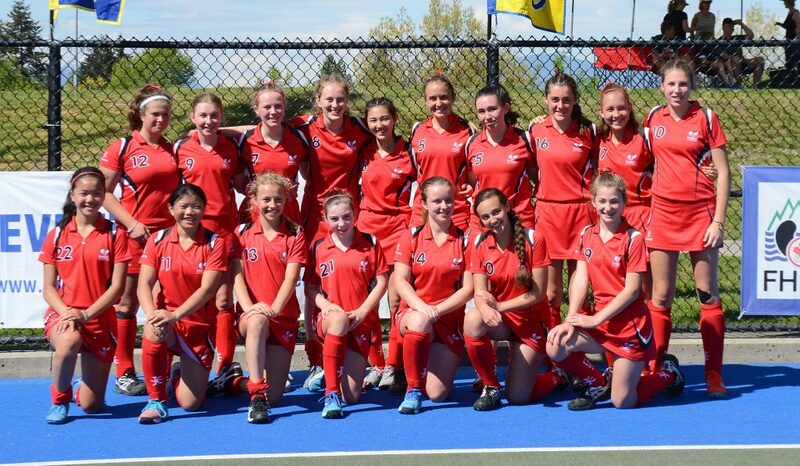 Laine Delmotte – back row fifth from the right – with the Academy Dragons at the 2018 Train 2 Train Festival. The skill and maturity of these two athletes is sure to make them players to watch through this year’s Provincial season. Make sure to follow their progress leading into July’s National Championship Festival in Toronto, Ontario!